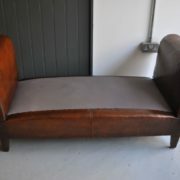 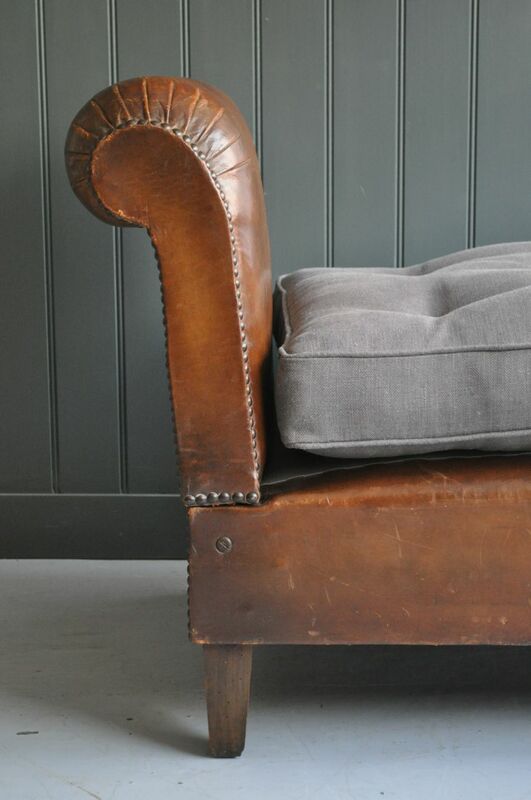 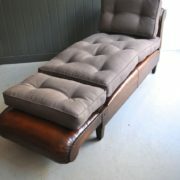 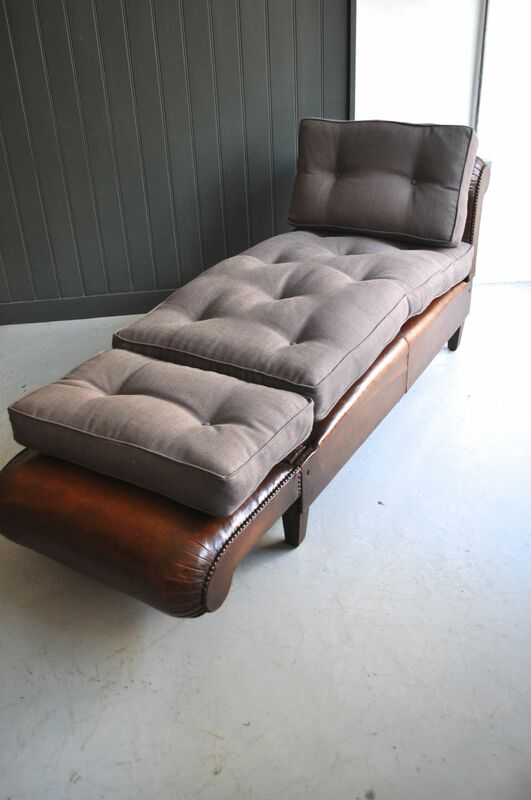 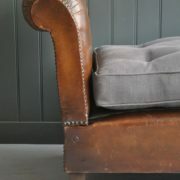 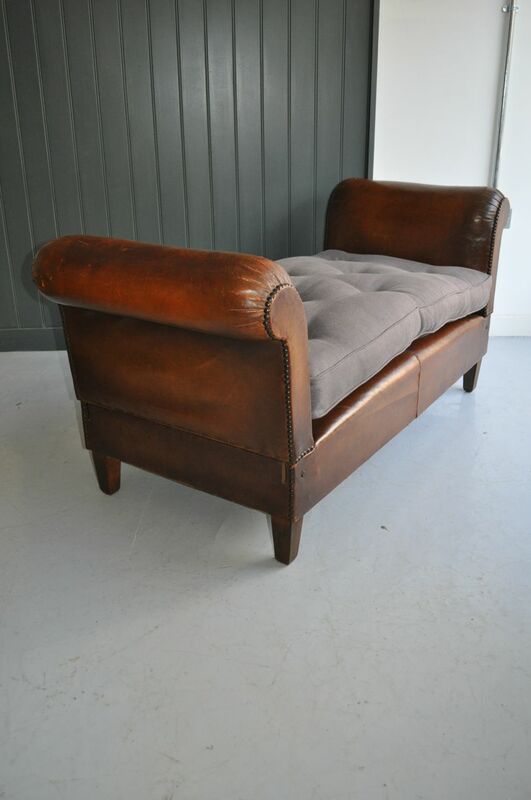 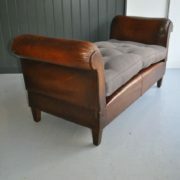 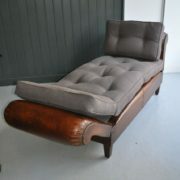 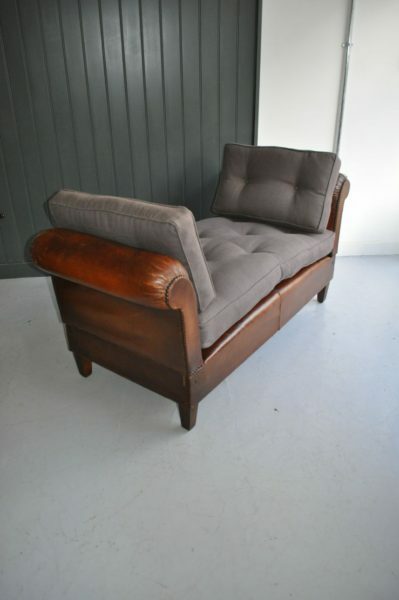 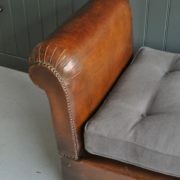 French leather daybed, with rolled arms that can be lowered either to 45 degrees or fully flat. 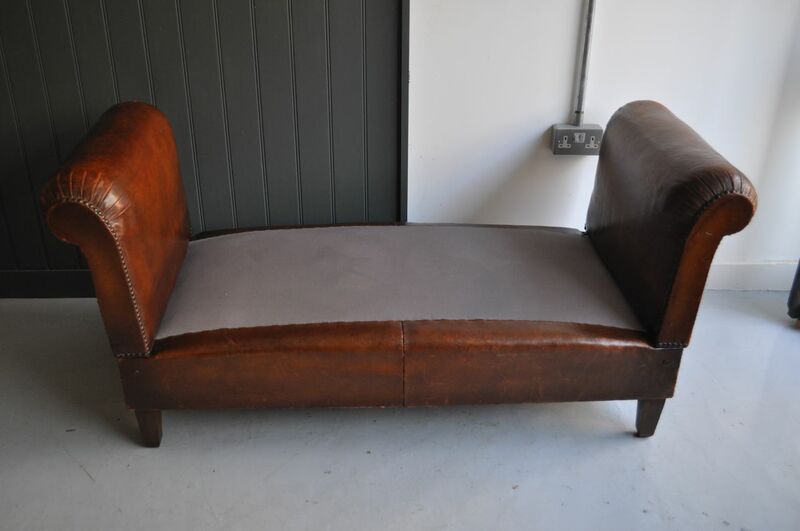 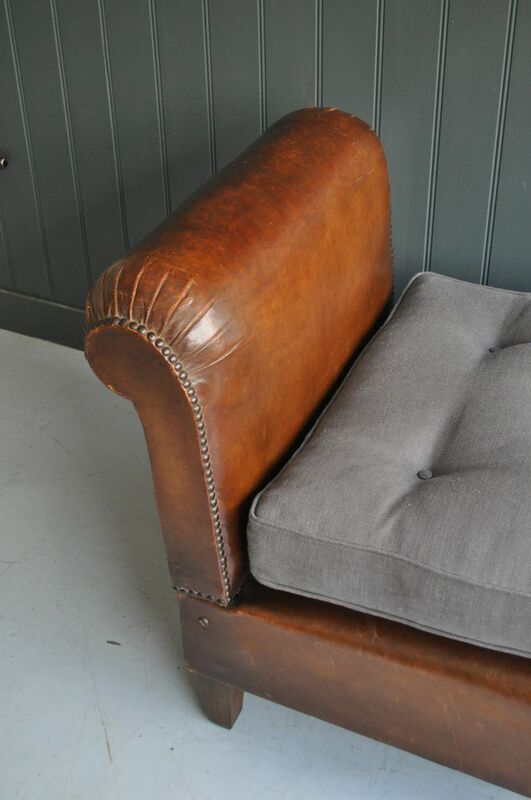 Nice condition and colour to the leather, with good patination and just light wear in keeping with age. 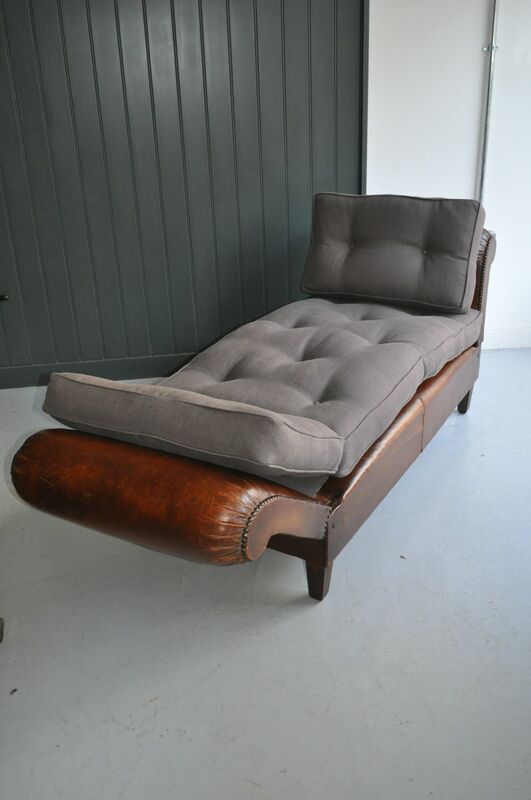 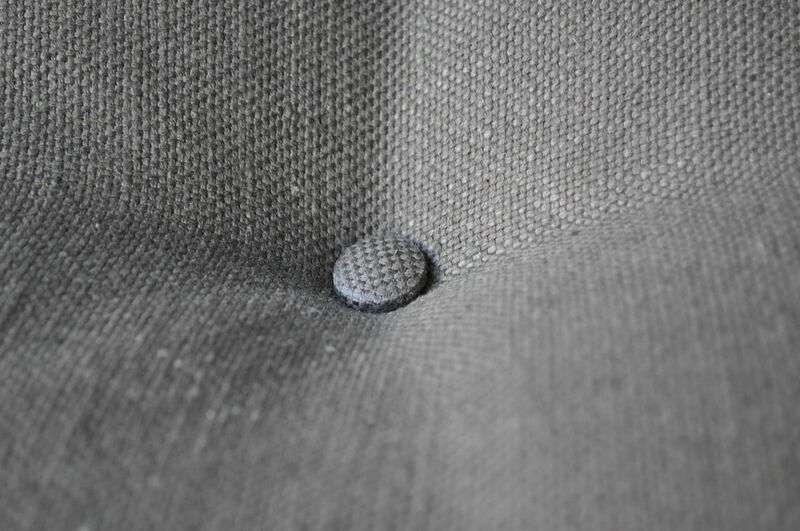 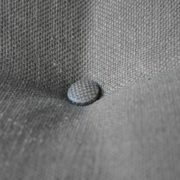 Newly covered buttoned mattress and cushions in a warm grey linen, and a new cover to the base also.